Hello! It’s time for our weekly Five Minute Friday link-up! What comes to mind when you think of the word, EXCUSE? Share with us in five minutes or less! But as I think back on the many times I’ve been short-tempered, I have to admit the truth: I have just as many excuses — no, more — in my own heart. When I really think about it, I’m embarrassed by the countless excuses and so-called reasons for why I didn’t write today, why I didn’t read my Bible this morning, why I still haven’t folded that laundry, why dinner isn’t ready, and so on and so on. Sure, some are legitimate, but most? Not so much. Then I consider the excuses I make for my sin, and I’m even more ashamed. It’s easy to gawk at the excuses of others when they’ve been caught out and have their offenses splashed all over the news. It seems like somebody’s always making an excuse for something they’ve done wrong. But how would I respond in a similar situation? Would I try to justify my actions? Try to minimize them? Outright deny it? Ultimately I have to come to terms with the fact I am a sinner desperately in need of the grace, mercy, and forgiveness only found in the blood of Christ. No excuses. Add your own five minutes of free writing below! Oh, so many amens to all of this Kate! God convicts me anew each time I start feeling satisfied with myself (so, I get convicted a lot). Parenting sure gives us a better understanding of our relationshp with God the Father, doesn’t it?! Kate, we went in a similar vein this week. Yes, often we have to own up to why we feel the need to use excuses. For me, there’s always something ugly at the bottom of it all. Thank goodness our God is patient and gracious! I’m sometimes afraid to go to bed. It’s too dark for my heart, and I’m afraid it’ll just quit beating. Too dark for my feet, too, but I have a DVD player! Excuse. Verb or noun? It will be fun to see how the writers interpret. xo Have a blessed Thanksgiving Kate. Excuses, excuses, excuses. I think I am your twin in that area. Truth is, it’s sin. Thanks for shining that light in my dark place and uncovering the truth. I’m right there with you – that sinner desperately in need of grace and mercy!! When I taught the “Sacred Parenting” class at my church, I learned that parenting shapes us better into God’s image. Your post reminds me of that. Our Children’s actions remind us of our common humanity and how much we need a Redeemer. Kate – I love you. I really do. Thank you for always being honest with us. Hi! I'm Kate, and I'm so glad you're here! Click here to read more about what you can expect here at Five Minute Friday. I look forward to getting to know you! What is a Lead Magnet or Email Opt-in Incentive? 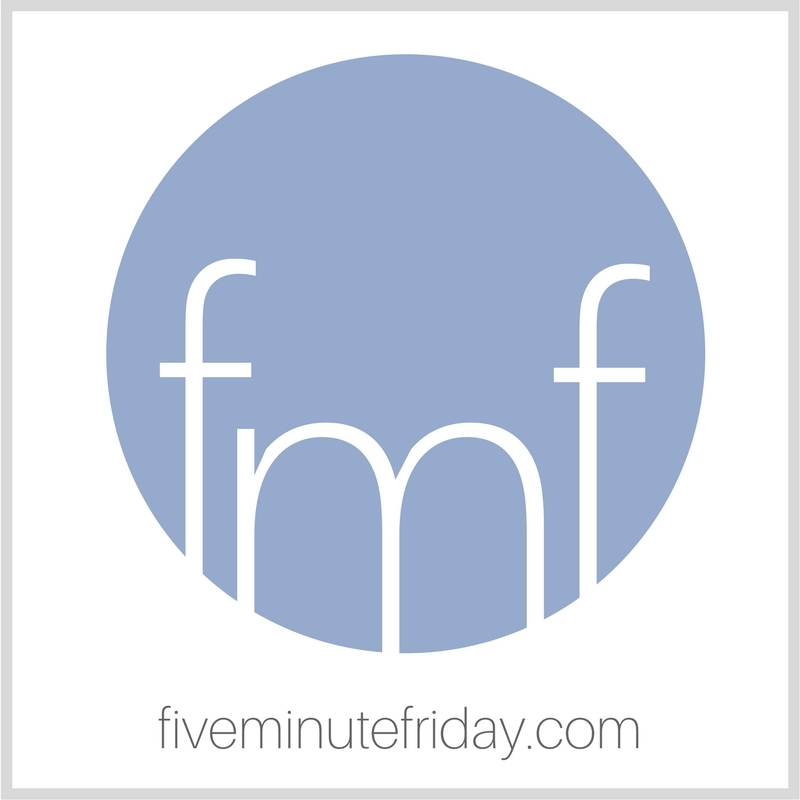 Five Minute Friday is a participant in the Amazon Services LLC Associates Program, an affiliate advertising program designed to provide a means for sites to earn advertising fees by advertising and linking to Amazon.com. We also use other affiliate links on this site. Thank you in advance for your support!